With NASA's "Curiosity" rover due to launch on November 26, Mars exploration is once again on the space agenda. "Curiosity" - full name Mars Science Laboratory "Curiosity" - will search for signs that Mars is, or ever was, able to support microbial life. But even as the Science Laboratory is being prepared for launch, more missions to the Red Planet are being planned and new technologies are being researched that will allow ever more information about Mars to be collected. 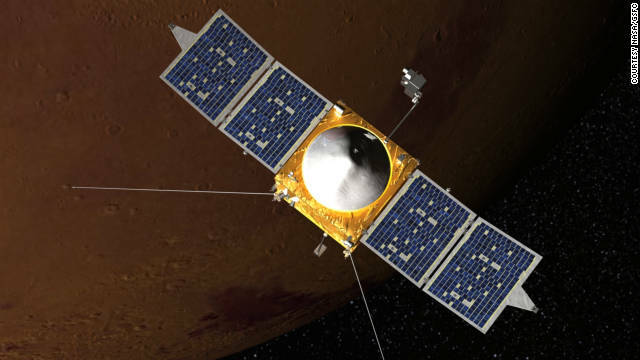 Take our quiz and find out how much you know about the future of Mars exploration. SOMETIME IN THE NEAR FUTURE TRY THINKING BEFORE WE GO INTO SPACE SOMETHING COULD TRAVEL BACK AND BE WITH OUR MISSION AND BE IRREVERSABLE! Rocks from mars have already landed on earth. There have been a few meteorites found in the arctic that are known to me from mars, so stuff has already come ! Yes it got very hot coming through our atomsphere, yet there has been a cold virus that survived a trip through space and come back, look it up you will see it. They take extreme caution in any contamination issues, just look at what was done to prevent one of our sattlelite from contamination a moon around saturn, they crashed it into saturn so it would not land on one of its moons. Oh crap sorry for the poor grammer, should have read it again before posting sorry.